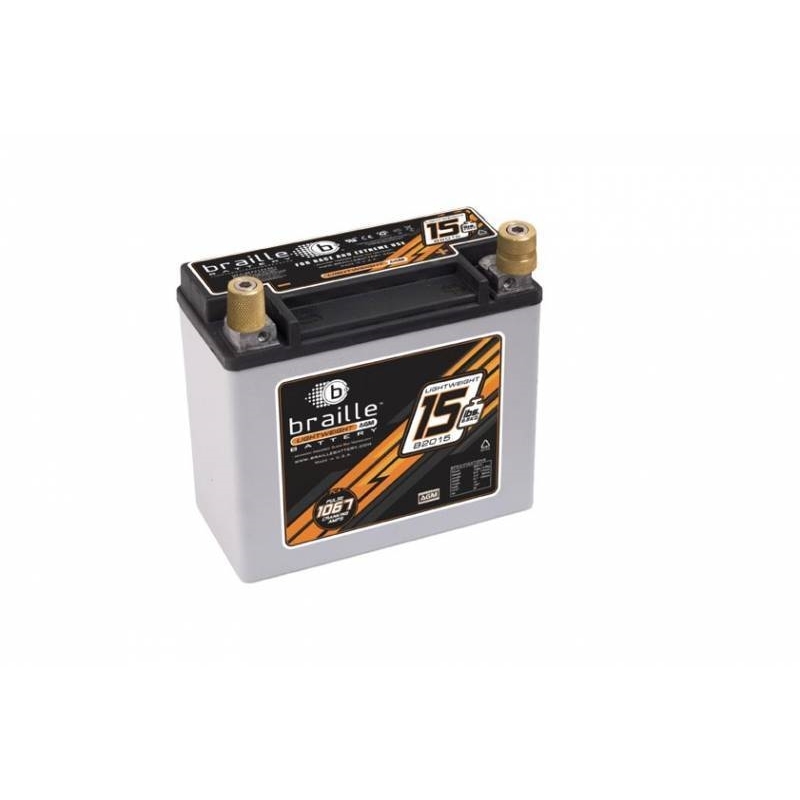 At under 15 pounds, the B2015 is Brailles most popular non-carbon racing battery. It is able to start larger engines easily for racing and offers daily driving capability for 4 cylinder motors with ease. With 1067 pulse cranking amps this has enough power to start more than any other battery in its weight class.